“. 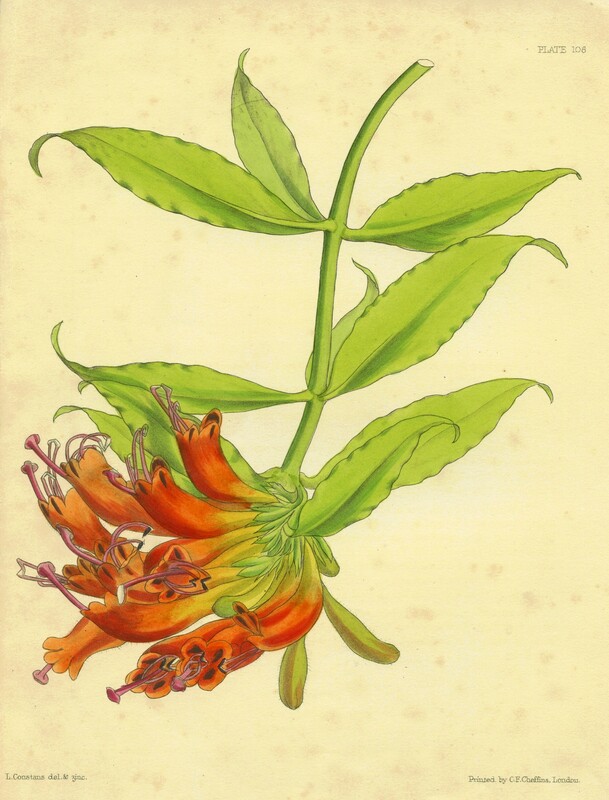 . . it is a hybrid produced from Aeschynanthus speciosus impregnated with A. grandiflorus, and possess the brilliancy of colour and hardy consitution of the male, whilst it also partakes of the many good qualities of the other parent. This early hybrid was the subject of several other publications (e.g. here and here) and remains in cultivation today.